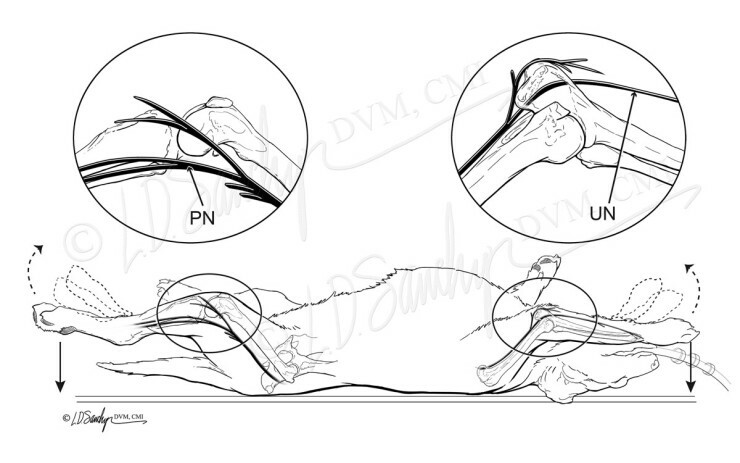 Line illustration of the canine positioning for stimulation of the peroneal nerve and the ulnar nerve. Sawchyn Medical Illustration provides medical illustration, consulting, and editing services for the scientific fields specializing in veterinary medicine. Our expertise helps clients communicate ideas, connect with their audiences, and advance knowledge, information, and product development.